Contemplating liberation while podding fava beans on the Festa della Liberazione in Italy. Olive tree pruning the old-fashioned way. 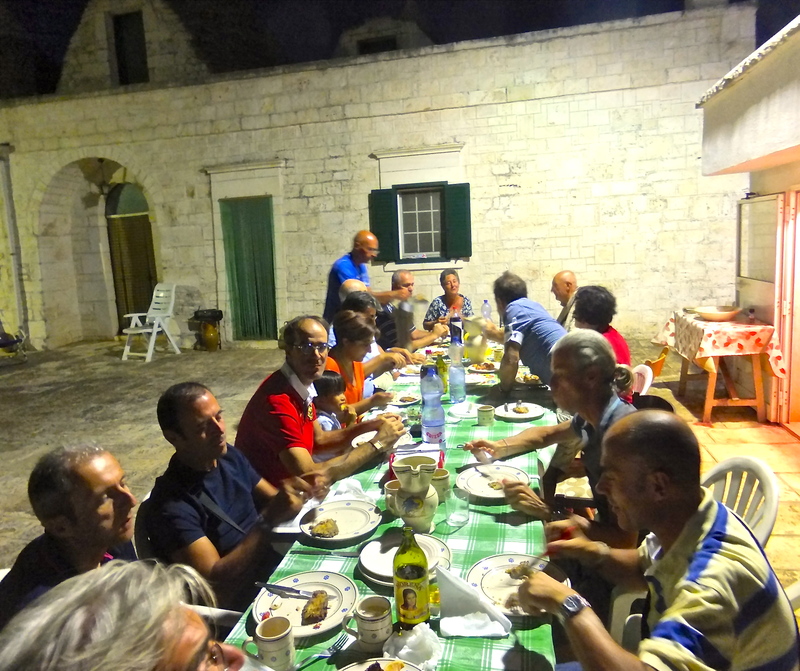 Wherever you are in Italy, dinner is always a group activity.